In one serving of tuna (around 6 tablespoons), omega 3 fatty acids can be stored up to 300 milligrams. The benefits of Omega-3 tuna can be felt even before we are born. In 100 grams of tuna, it contains 200 kcal of energy, 8 grams of fat, 29 grams of protein, vitamin D, choline, vitamin A, phosphorus, iron, zinc, magnesium, and potassium. 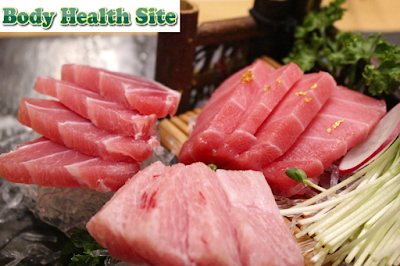 In addition, tuna is also a good source of omega 3 fatty acids. Omega 3 is an essential fatty acid needed by the body to function properly. Omega 3 fatty acids in tuna have an anti-inflammatory effect that can lower blood pressure and triglyceride levels, reduce irregular blood clots and heartbeat, and reduce the risk of stroke and heart failure. In fact, consuming at least one or two servings of fish rich in omega 3 like tuna in one week is thought to reduce the risk of heart disease, especially sudden death from a sudden heart attack. In addition, the benefits of tuna with omega 3 content are also good and important for the health and development of children, even before they are born or still in the womb. Here are some benefits of omega 3 for the fetus and child. According to one study in 2003, eating eggs enriched with omega 3 was thought to reduce the risk of preterm labor in women. There is some evidence that if adding omega 3 to formula milk can increase brain growth and development in babies born prematurely. A study in 2008 revealed that consuming fish oil during pregnancy can reduce the risk of developing asthma in children if they are teenagers later. There are studies that suggest that taking omega 3 supplements (DHA and EPA), throughout pregnancy and early breastfeeding, can make the baby have a higher cognitive test score at 4 years of age compared to children whose mothers did not take the supplement. In addition, several studies have also shown that giving formula milk enriched with omega 3 fatty acids can improve hand-eye coordination, attention span, social skills, and intelligence test scores in children. But keep in mind, if the intake of tuna in pregnant women should be limited. Why? This is because tuna contains more mercury than other types of fish. The amount of mercury we get from food is not dangerous for most people, but it's different if we are pregnant. High amounts of mercury while pregnant can affect the development of the baby's nervous system. Therefore, pregnant women are only allowed to eat tuna steak twice a week. The weight of the bud must be calculated, which is 170 grams when raw or 140 grams when cooked. Or, if you want to eat canned tuna, it should be limited to four medium sizes in a week. And never eat raw tuna when pregnant, because it can cause food poisoning. For pregnant women who want to take advantage of Omega-3 tuna fish, it is recommended to first consult a doctor before entering the tuna menu in your meal. 0 Response to "Benefits of omega 3 from tuna for pregnant women"